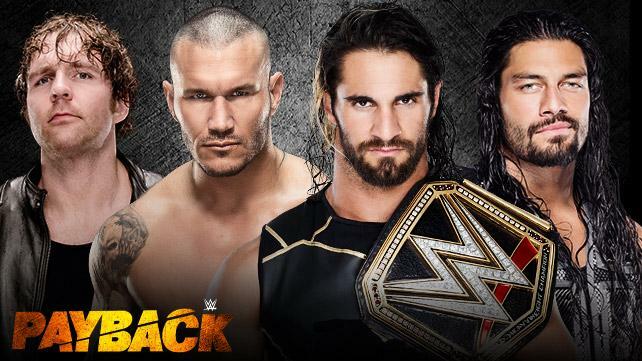 It’s that special time of year when WWE publicly endorses revenge…er, Payback. In this episode of Turnbuckle Radio, hosts Trevor Robb and Brian Swane give their thoughts and predictions on the upcoming PPV which features a fatal four-way main event for the WWE World Heavy Championship between the champ Seth Rollins, Roman Reigns, Randy Orton, and Roman Reigns. They also discuss scotch, the upcoming Elimination Chamber PPV and give their own unique predictions on where Rusev and Lana should go after Payback. Tags: 780 Sports, Big E Langston, Bray Wyatt, Damien Sandow, Daniel Bryan, Dean Ambrose, Dolph Ziggler, Edmonton, John Cena, Professional wrestling, Seth Rollins, The Big Show, Turnbuckle Radio, WWE, WWE Raw, WWE SmackDown. Bookmark the permalink.